During the holiday season, it is easy to get overwhelmed with all of the tasks to do. Spreading the joy at this time of year shouldn’t be a hassle. 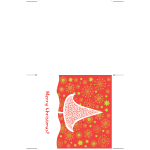 The Avery Greeting Card Template is available for you to take some of the little stresses away. It is available in one quick and easy download, for free. The template is completely customizable, making your greeting cards unique. This template makes saying hello to family, friends, and loved ones an easy and simple task that will bring lots of holiday cheer. The first step is to download the Avery Greeting Card template. It’s available for free, and it a quick and easy download located on this page. Second, follow the download instructions and open the file. 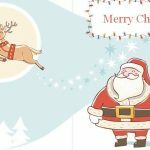 Third, once you have downloaded and opened the file, the Avery Greeting Card Template can be completely customized by you. You can change the font type and size, align the text in different ways, and write in different colors. Fourth, write out the message you wish to send. Fifth, add photos or anything else you want to include on the card. The last step is to save and print your greeting card and send it. Always save a copy of your greeting card before printing it, in case you need to print more. Larger font sizes may not appear exactly as you want them to on the card. Choose font sizes that fit accordingly. The template has outlines and edges for you to follow so that everything fits on the card properly. Follow these guidelines. 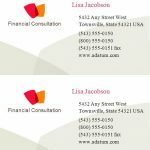 When using photos on a card, use caution when adjusting the sizes, it may cause the image to become distorted. Print out one greeting card and see how everything looks together. If you are happy with the results then print the rest of the cards. 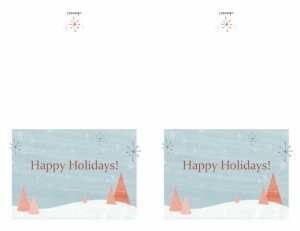 The Avery Greeting Card Template is easy to use, convenient, and provides a way to personalize your holiday greetings.